So being between projects means I get to play around with random technology! For some upcoming secret projects I’ve setup Flite TTS and Irrlicht as plugins in my iPhone engine to test out. First, I’m sorry about the content of the audio. Second, there is a problem where raising the pitch for the (loosely) female voice causes clipping. Maybe I shouldn’t be using “Kal” for that. 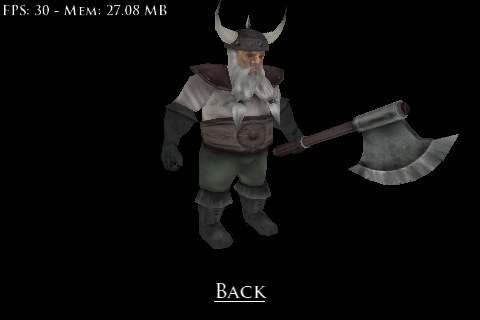 This is a solid 3D engine that has been around forever but truly became appetizing after it went with the zlib license. My tests on the iPhone have been a bit underwhelming, check these screenshots to see the FPS. Sydney.md2 from irrlicht media. Disabling frame interpolation gave 45 fps. Skinned dwarf from the irrlicht media. Bout the same speed as the md2! Slightly tweaked version of the Irrlicht geomipmapping terrain demo with coldet. REALLY slow to load. Two skinned squirrels exported with the Panda (.x format) from 3dsmax. (Akiko made these for Teenage Lawnmower back in the day) Slow! One gets about 30 fps. Is anybody getting better speed than this? Am I doing something wrong? 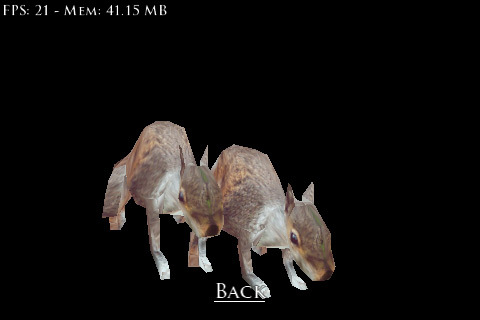 If I export say, a squirrel as a solid mesh (no animation) I get 60 fps, so I guess the real bottleneck is in the animation math, not the triangles/texturing. On the 3GS you could probably do a skinned mesh shader and just fly, not sure. But I don’t even have a 3GS yet! Meh! 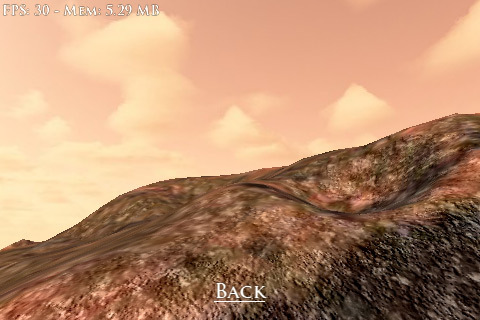 Could probably drop the geomipmapping for the terrain and just dynamically create the render list based on terrain sectors in the players view and do a fog thing to hide the edges and see a big performance improvement for iPhone. This entry was posted in Development/RTsoft, Tech Tips on November 23, 2009 by Seth. Like you say, the slowness is probably something which just comes from running skinned stuff. We are just animating position/rotation of nodes, with little exception of some dynamically generated effects (which have quite low triangle counts though). Even though we have currently a bit too much draw calls (from many separate nodes + custom drawing), I think the speed is quite reasonable with a scene of few thousand triangles running 30-60 fps depending on type of device, even with the fullscreen vignetting layer. That slows down a bit when the physics are enabled though, but that’s a different story.